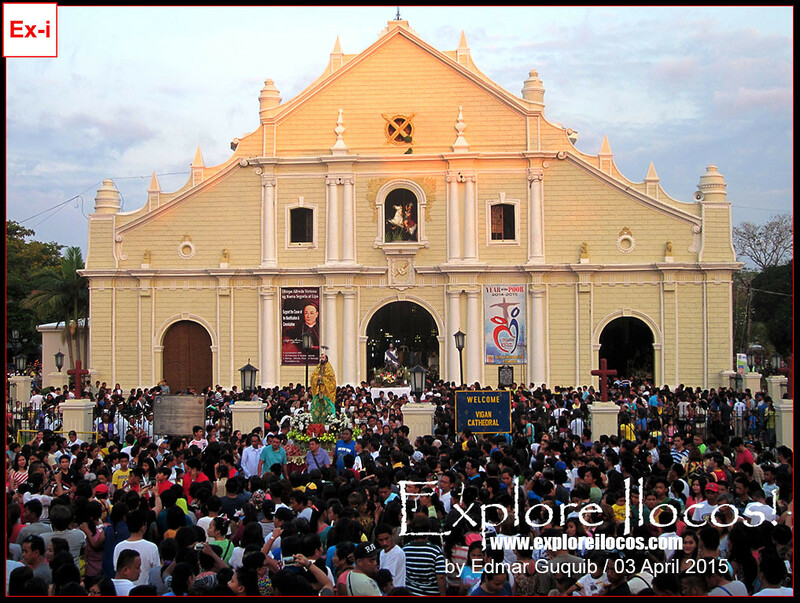 VIGAN CITY ▬ Within the course of the Holy Week celebrated by many Filipino Roman Catholic followers, Good Friday is the main day in Vigan. 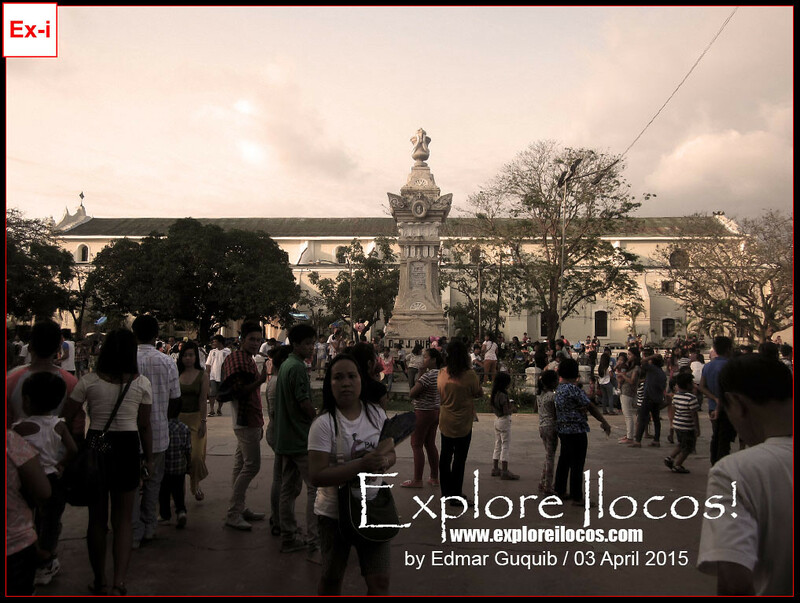 The largest gathering of Roman Catholic followers in this heritage city happens during Good Friday and probably, this is the largest gathering of all city/town processions in Ilocos Sur. 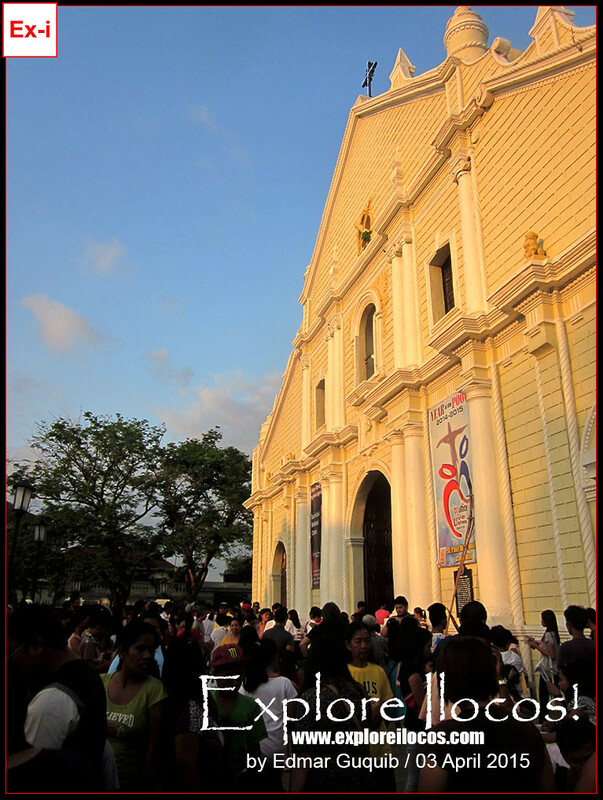 In front of the Vigan Cathedral is a saturation of Roman Catholic devotees: some are here for their faith, some are here for the tradition and some are here just to join the tradition without knowing the meaning of this event at all. 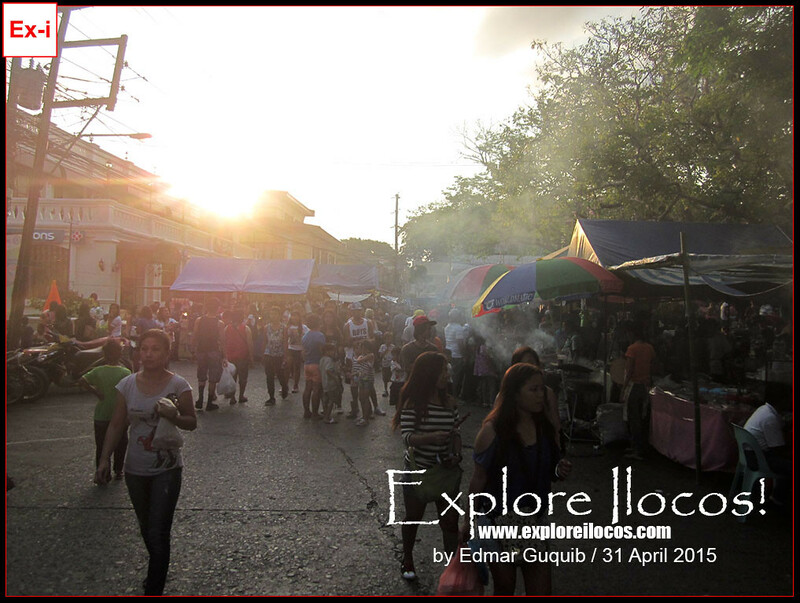 For this post, I'll be writing my commentaries and observations based on what I experienced and saw from different prominent spots in Vigan. If we talk about wide roads, Vigan is an obvious loser. This small city was originally designed during colonial period with narrow roads for the calesa and a few vehicles. Who would dictate the future? 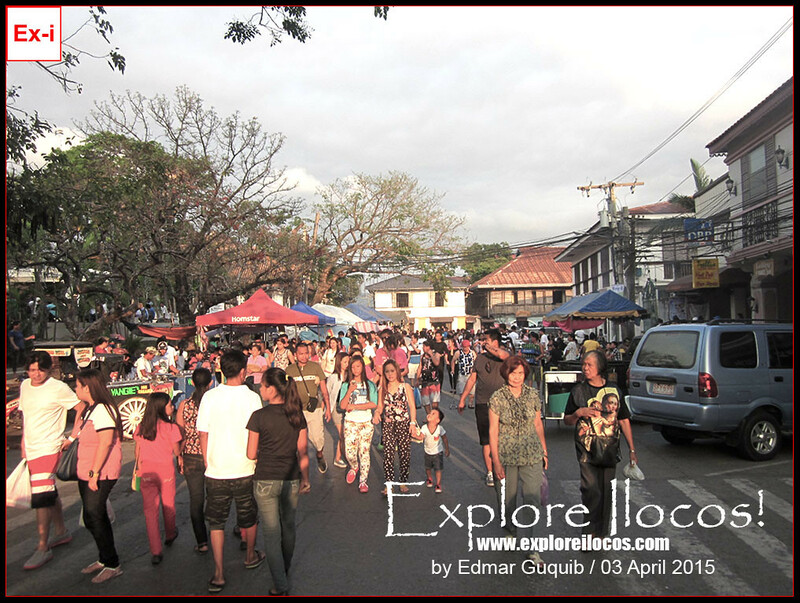 Vigan is now a burgeoning little city stimulating the big appetite of the business sector to invest on its promising tourism and hospitality industry. Vigan is now congested with vehicles. Several ordinances have been passed to regulate and control traffic congestion to the point that other tricycles-for-hire are deprived to enter Vigan's main road (Quezon Avenue). On the over two decades of my stay in this old town, the worst of the worst traffic congestion just happened these past few years and the Holy Week is a holiday to deal with: and for those who're planning to bring their vehicles in Vigan, Good Friday is a day to plan and strategize carefully if you don't want to end up getting stuck in the middle of the road for hours. I used the Gov Alberto Reyes Street to enter Plaza Burgos only to find out that just after Bonifacio St, you can no longer pursue the driving due to presence of countless motorbikes and cars parked along the street. 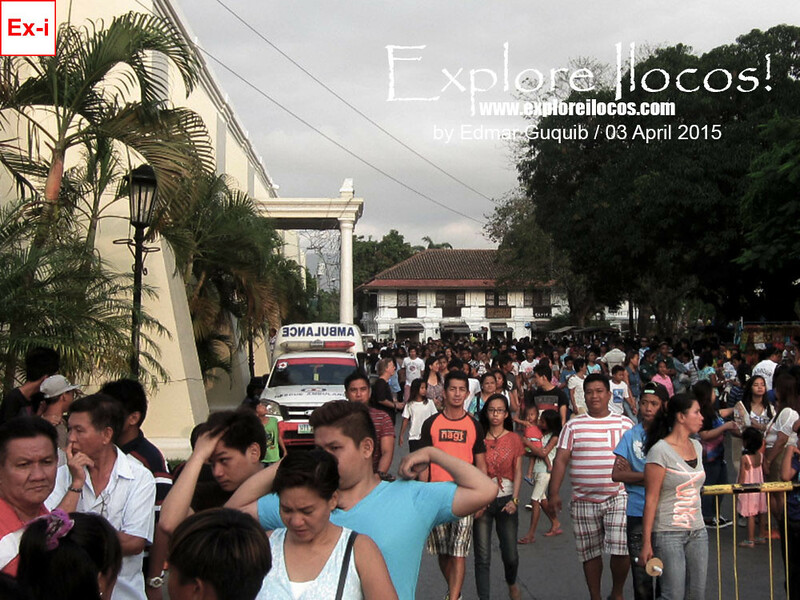 This is a normal scenario in Vigan every Good Friday but it seems to get worse yearly (I hope and pray it won't). 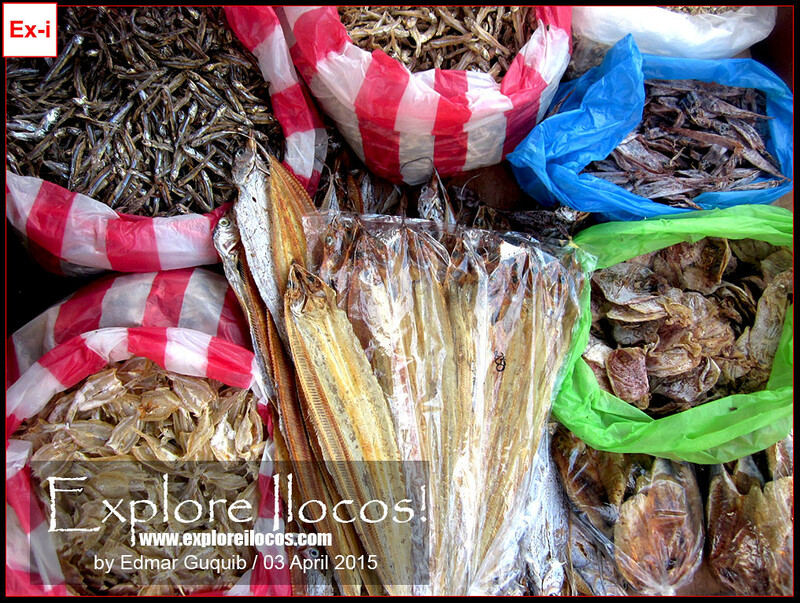 In Vigan, we say daing to refer to a sun-dried fish. 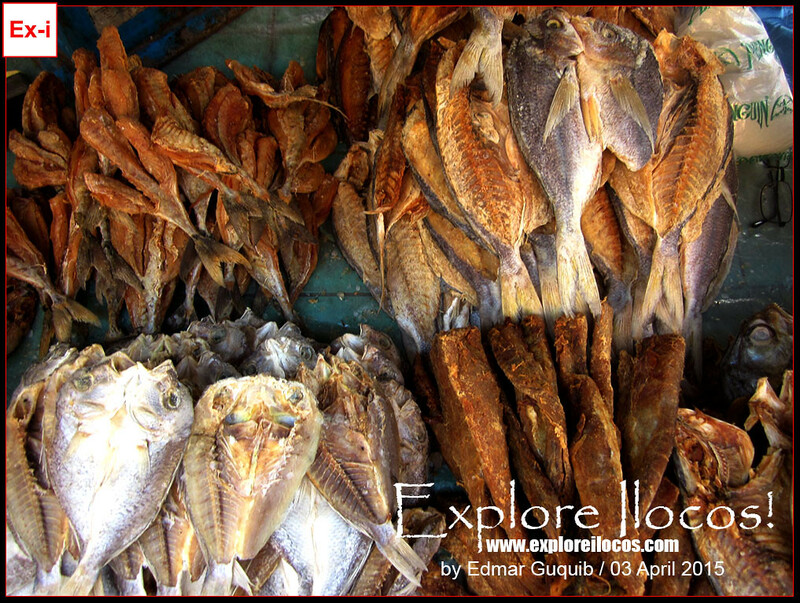 Sun-dried fish market is busiest during the Good Friday. 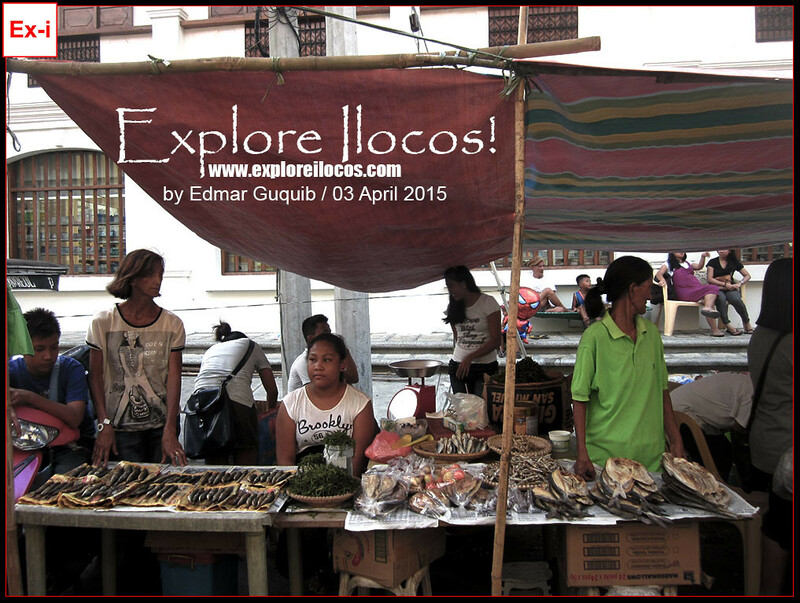 Vendors get their stalls near or around the Plaza Burgos. Some just choose to stay in the public market. The rise of demand for fish is related to the belief of the Roman Catholic followers that eating meat during the Holy Week is prohibited. But I saw a lot of people eating burgers in McDo and Jollibee with patty made of beef. Many are also buying barbeque and hotdog (all made of meat) in Vigan's perennial street market, also in Plaza Burgos (probably these people are not clinging on to traditional belief). 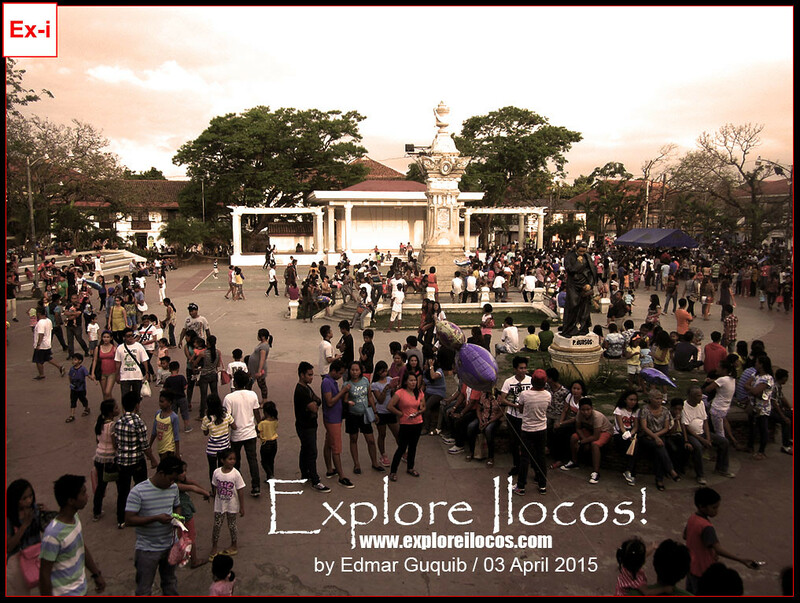 I can't understand why the Plaza Burgos in Vigan is the consistently most crowded area during Good Friday and of the Holy Week. But one thing that I know is the presence of the street market where shopping is inviting. Cheap goods ala Divisoria are always here to stay. Food kiosks abound, name all the Pinoy street foods you know, they're [almost] all here. So people are saturating in Plaza Burgos on a Good Friday. The public square is closed to all types of motorized vehicles because the foot traffic is just hard to manage now. What more, if these trikes and motorbikes including tourist vehicles join? 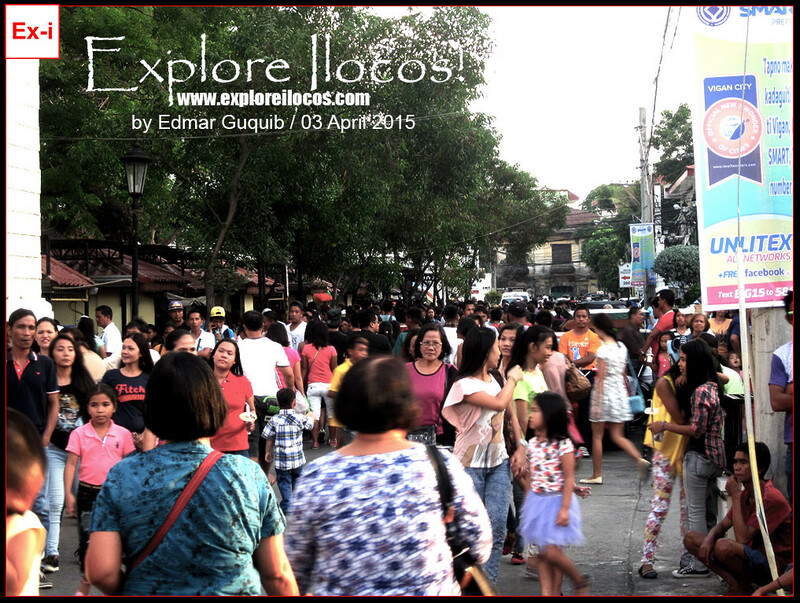 The grand perennial pursisyon in Vigan happens on a Good Friday. All Roman Catholic followers flocked inside the church. Because the church can no longer accommodate these thousands of pursisyon joiners, the area in front of the church serves as a catch basin of the flooding crowd. The pursisyon started at 6 PM this Good Friday. The devotees waited for the carroza of their choice which they will be following. This pursisyon depicts how Jesus Christ died and rose from dead.